OLD PARKED CARS. 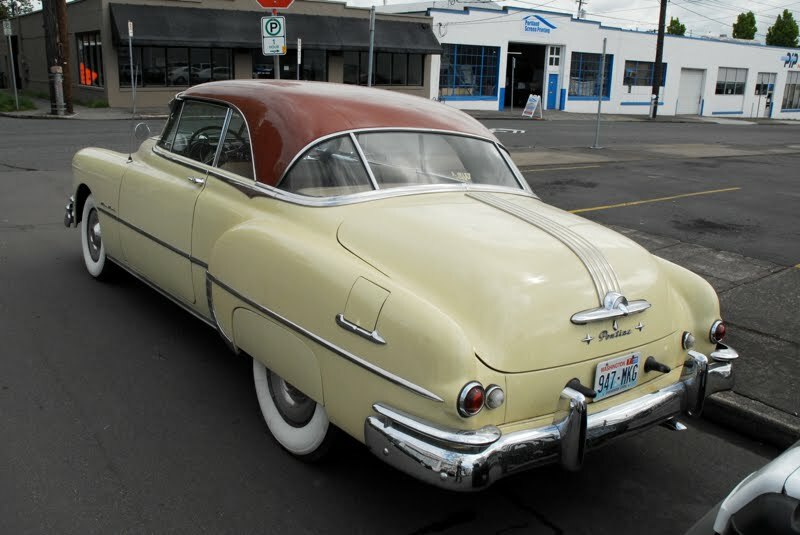 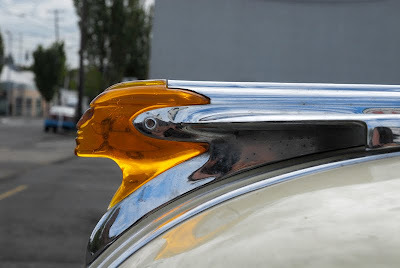 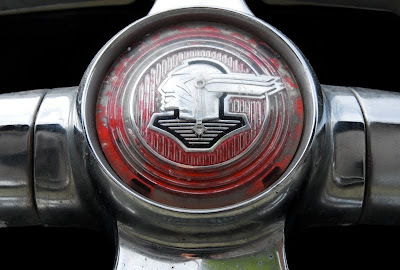 : 1950 Pontiac Streamliner. 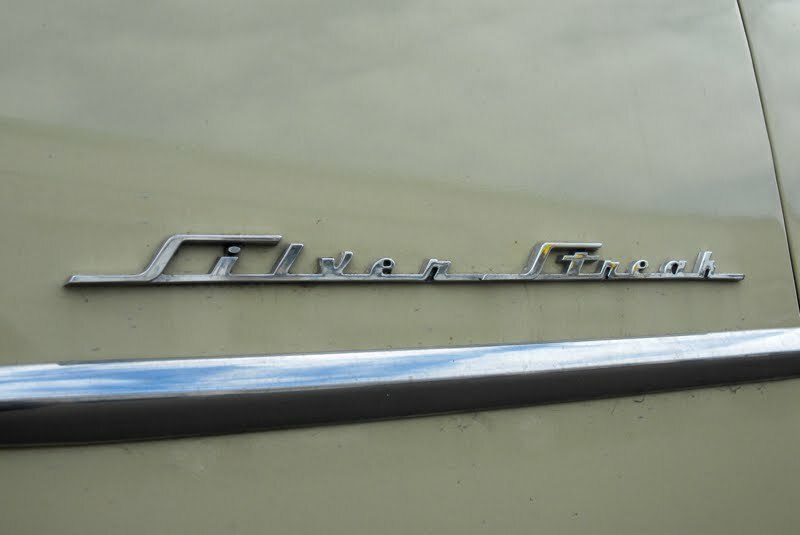 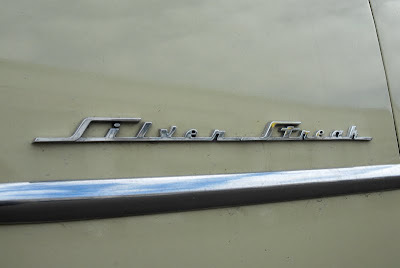 Silver Streak, now that's a good name for an engine! Wow. 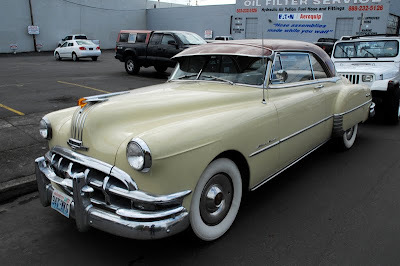 What a beautiful car. 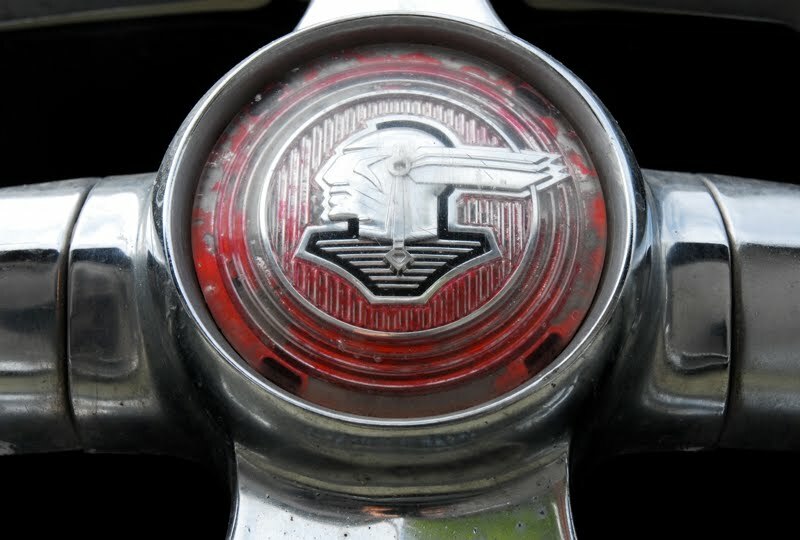 Even the Indian head hood ornament that lights up at night is in perfect condition. 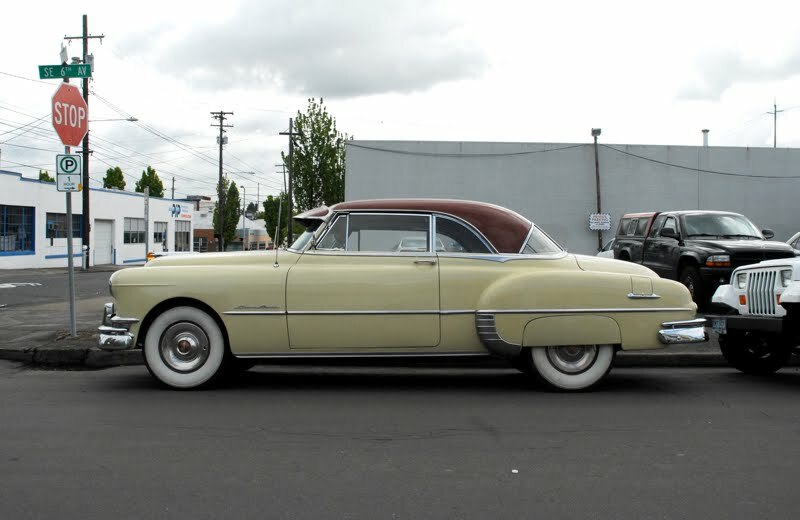 Those thick white wall tires looke great on it. 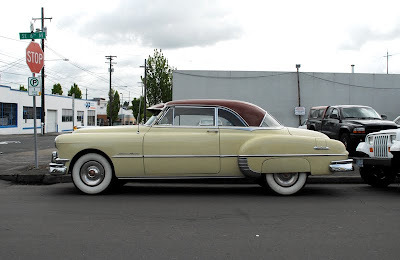 Isn't this a Catalina Super DeLuxe?